Indian Head Massage is a simple, safe and highly beneficial therapy, which has been popular throughout the Indian sub-continent for over a thousand years. Massage of the scalp, face neck and shoulders soothes, comforts and re-balances the energy flow to produce a feeling of peace and tranquillity. Additional benefits can be gained from the (optional) use of special oils to nourish the hair roots, promoting improvement in the texture of the hair and even reducing hair loss. 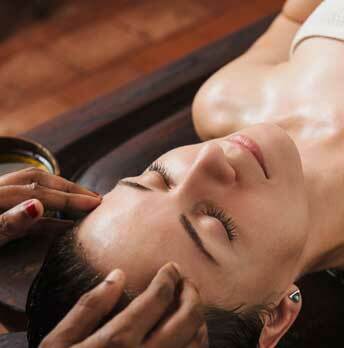 Indian Head Massage can stimulate and relax the body and the mind. The skin, blood and lymphatic systems are stimulated, which boosts circulation, aids cellular renewal and removes toxic wastes. As tense muscles relax, stiff joints loosen and nerves are soothed, an all over feeling of relaxation and well being comes about. Indian Head massage is also known as Ayurveda and has been recorded as the oldest Indian healing system dating back nearly 4000 years.